They only have 8 flavours on their menu—all of which are curated and made by an Italian chef. 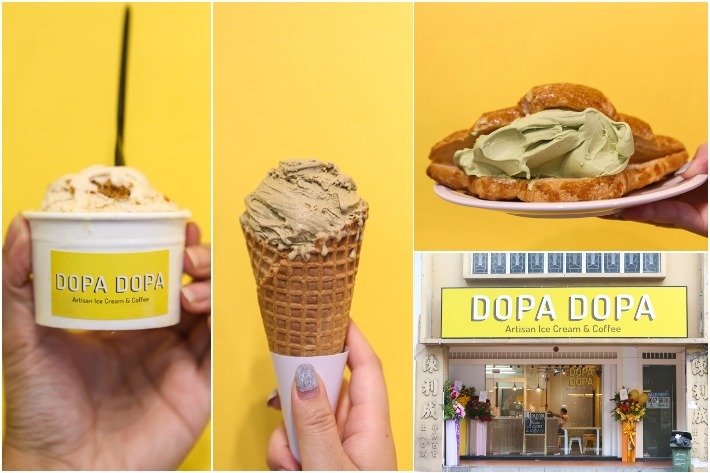 The standard flavours (S$3.90/ single scoop) include Apple Ginger Sorbet and Banana while premium flavours (S$4.60/ single scoop) include Home Roasted Pistachio and Green Tea Toasted Rice. Coffee-lovers can look forward to getting a cuppa to complement the sweetness of their ice-cold desserts! 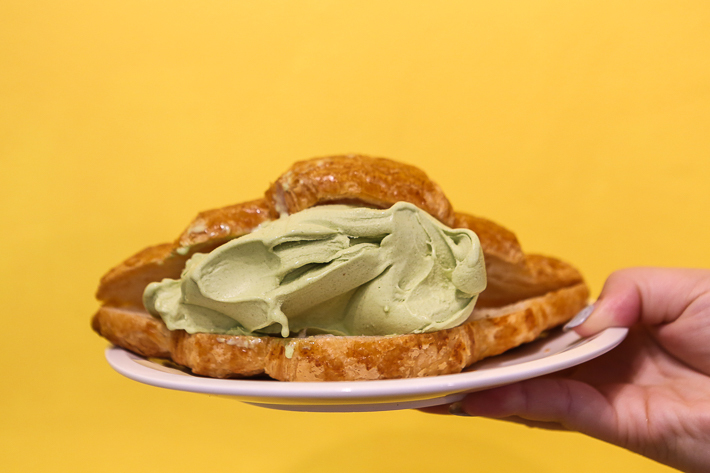 Rather than having our ice cream in a mainstream cup or cone, we opted to get our scoop of Green Tea Toasted Rice (S$4.60) in a buttery, flaky croissant (S$5.50). 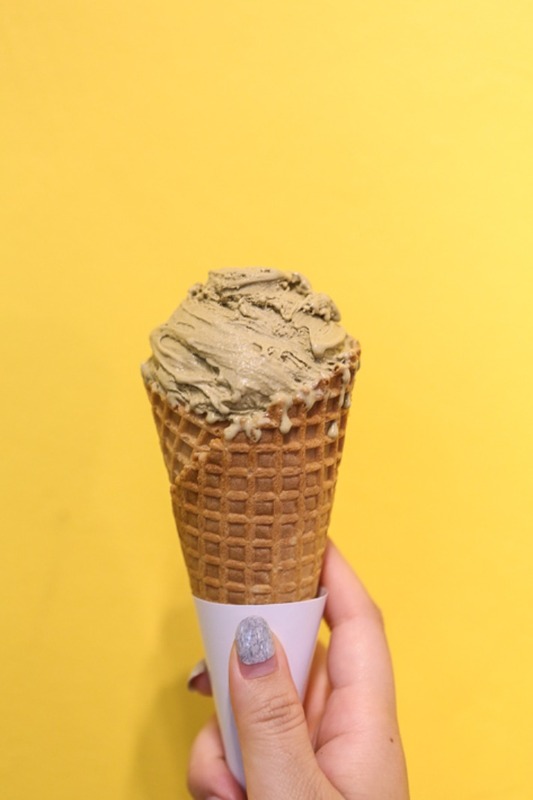 Boasting a thick consistency that gives the gelato a slight chewiness, the Green Tea Toasted Rice flavour is one that any green tea lover must get. Mildly sweet with a hint of bitterness at the end just the way we prefer it to be, we highly recommend to try this flavour. The Speculoos with Lotus Biscuit (S$4.60/ single scoop) features bits and pieces of crushed caramel biscuits mixed into a creamy and milky base, giving it an extra crunchy texture. Otherwise, you can opt to get your ice cream in a cone for an additional S$1. Topping off our cone was Hojicha (S$4.60/ single scoop). You can bet that the distinct smoky, toasty flavour will blow you away upon your first mouthful. 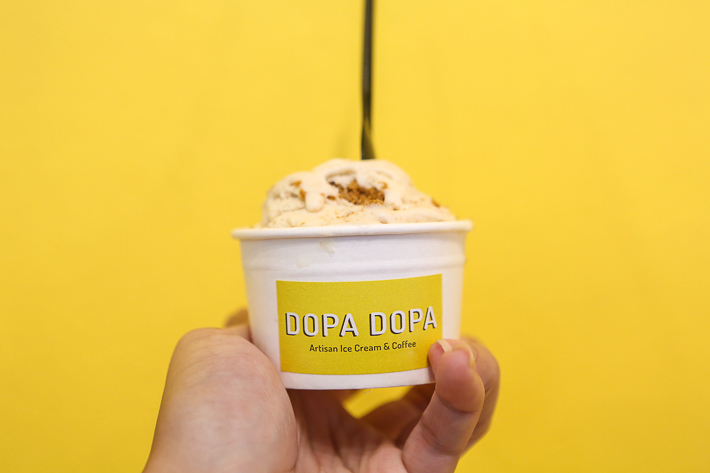 Other popular flavours that Dopa Dopa Creamery offers are Hazelnut and Home Roasted Pistachio.